I have a love affair with barbecue ribs, especially baby back ribs. I don’t usually write product reviews, but when I find something that I find especially good, useful, or handy, I want to share the information. Just recently, I discovered just such an item. Believe it or not, it’s barbecue ribs made by Lloyds BBQ. I’m almost ashamed to admit it, but these were pretty darn good, and they were super quick and easy. 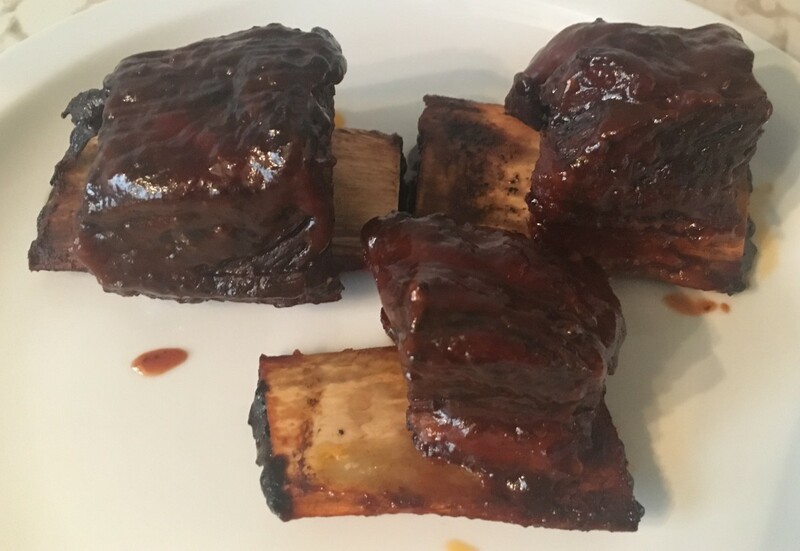 Hubby and I are old hands at smoking and grilling, so it sort of goes against my natural inclinations to buy refrigerated barbecue that was created by someone else, but you won’t believe how easy these BBQ ribs are! They come precooked and already covered in sauce. You can cook them frozen or thawed–on the grill, in the oven, or even in the microwave. I strongly suggest cooking them fully thawed, in the oven or on the grill. In the oven, the ribs take about 30 minutes to cook. 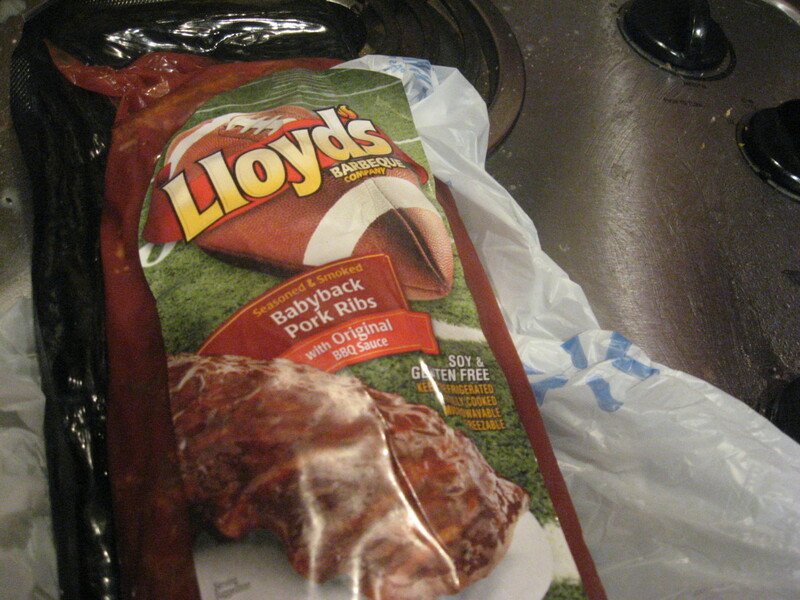 Another great thing about Lloyd’s is the price–a rack of baby back ribs for under $7! 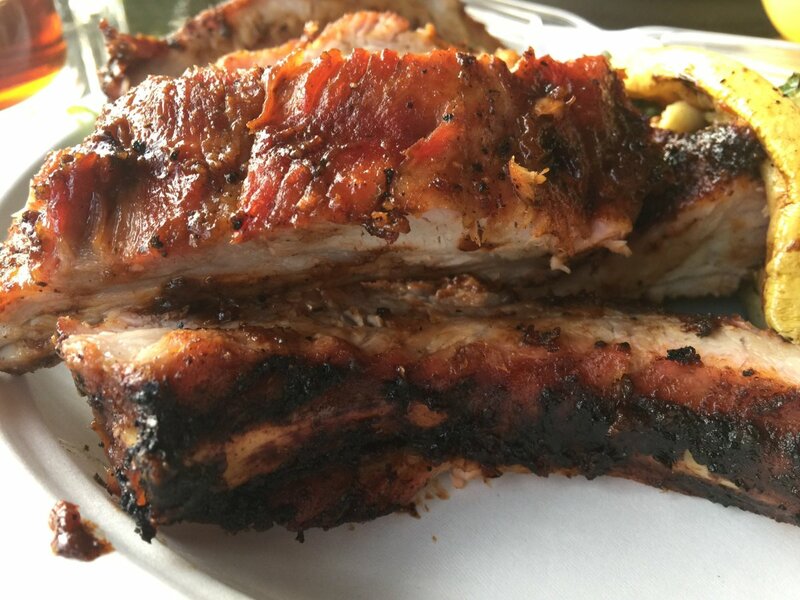 Each slab weighs well over a pound, and the ribs are pretty meaty, with small bones. They’re great just warmed up and browned, but adding different flavors is easy, too. You can add more sauce if you like, or you can add your favorite herbs and spices. For hot ribs, douse them with hot sauce. For a smokier flavor, sprinkle on some chipotle sauce. I sometimes combine some hot sauce and Liquid Smoke and brush the meat with the mixture. 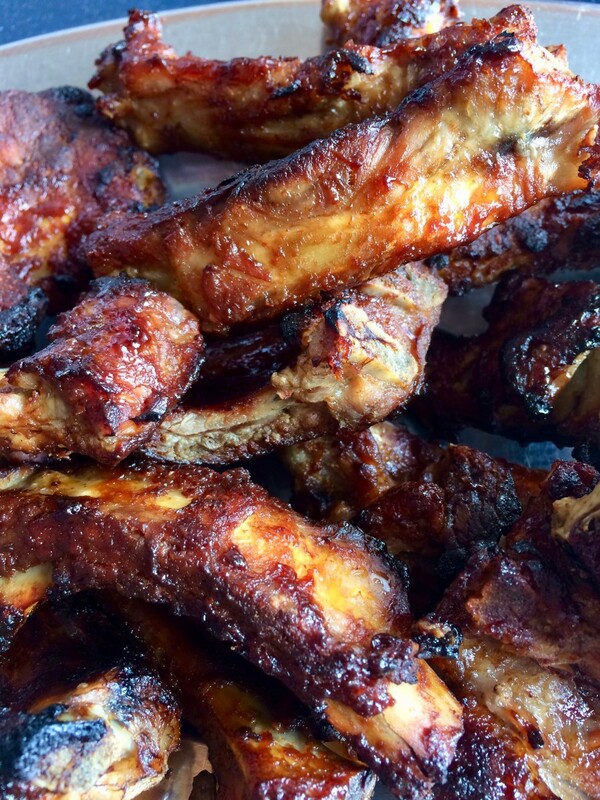 I created the best baby back ribs recipe in the world – in my opinion, of course. I call them candy apple ribs. The problem is that I spend hours on them. Are they worth it? Heck, yes! But I don’t always have the time to spare, and I guess that’s what prompted me to try Lloyd’s ribs. They are an acceptable substitute for when we want BBQ ribs in a hurry, and they’re actually as good as or better than some homemade ribs I’ve eaten. I was pleasantly surprised and decided they were worth a product review. 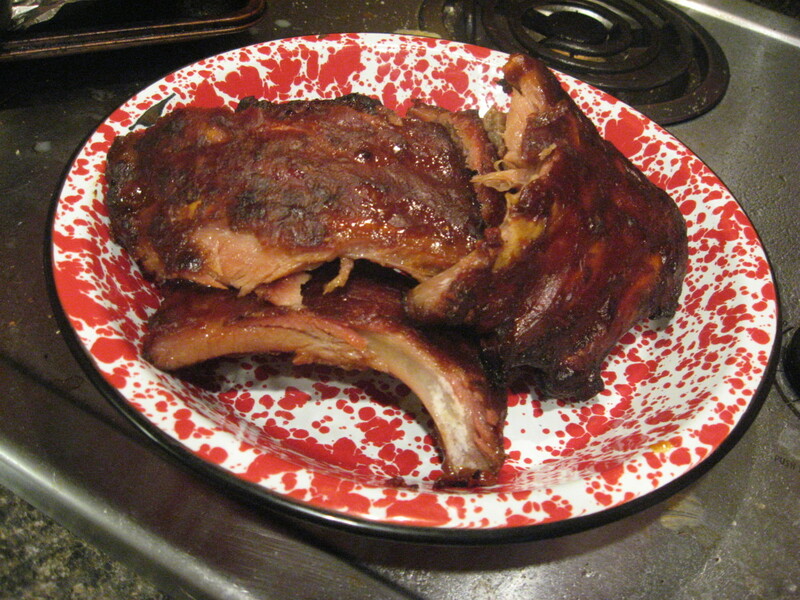 This is a super easy rib recipe that will be ready to eat and delicious in about thirty minutes. Yep, I said thirty minutes! 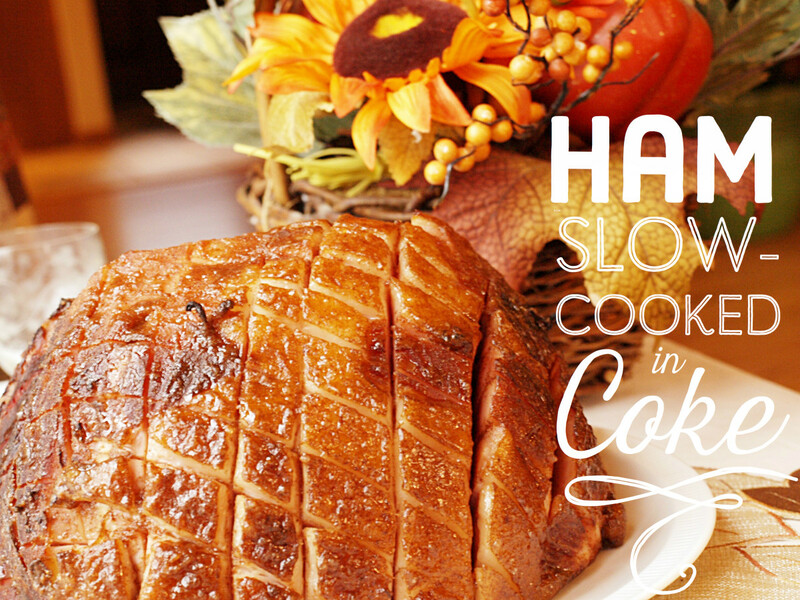 As I’ve already mentioned, these are good just baked in the oven, but you might want to add your own special touches. I made one slab according to the package directions, along with another slab of with spicy teriyaki flavor. That’s the one I describe below. Rate my Barbecue Ribs! Thanks a bunch! 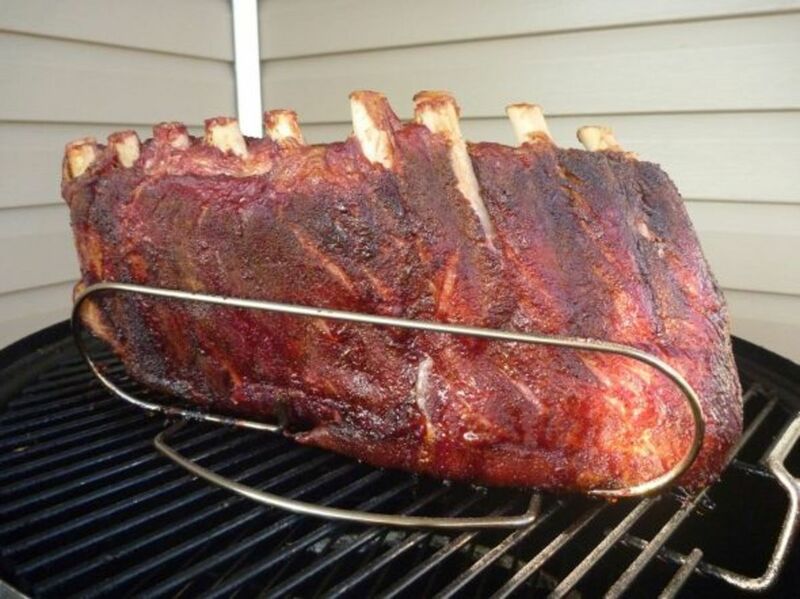 Place ribs in foil and set on a cookie sheet. Drizzle pineapple juice over pork and close foil. Bake for 15 minutes. While the ribs are baking, combine teriyaki sauce, garlic, and ginger. Remove ribs from oven and unwrap. Brush with teriyaki sauce mixture. 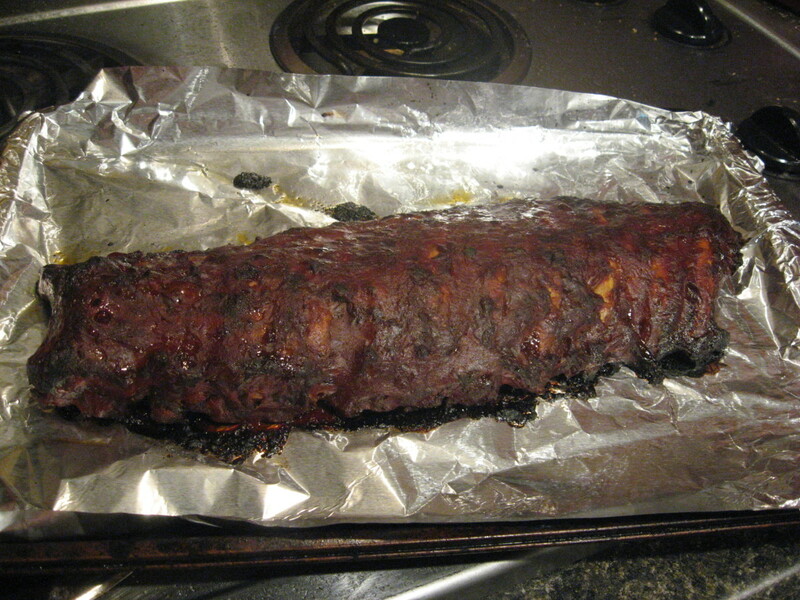 Return ribs to oven and bake, uncovered, for 15-20 minutes, until ribs are brown. For softer flesh, wrap the ribs tightly in foil before baking them in the oven or heating them on the grill. Before closing the foil, add about two tablespoons liquid–water, apple juice, hot sauce, pineapple juice, or orange juice. For browner, chewier ribs, don’t wrap the meat. Actually, I usually prefer sort of a half-and-half method–I wrap the pork for part of the cooking time and then unwrap them to get them nice and brown. Lloyd's BBQ was founded in 1978. 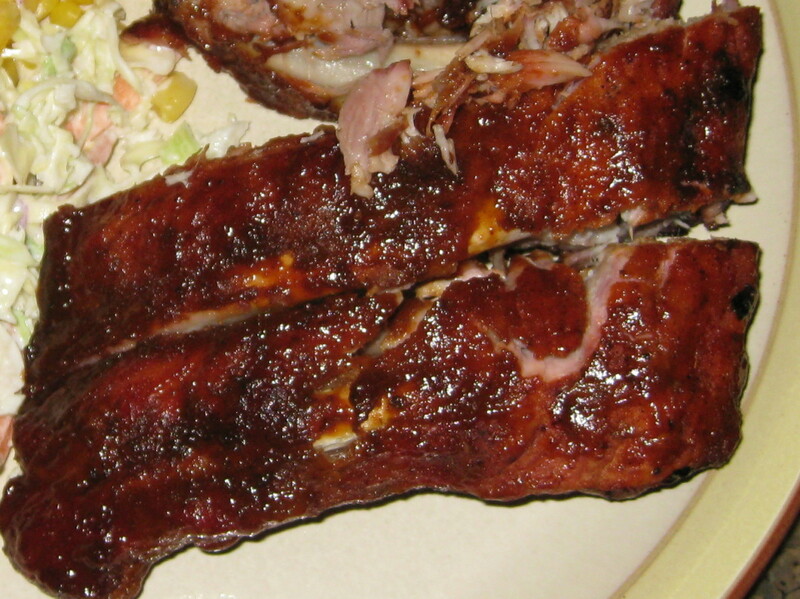 The company has several products on the market, including different flavors of pulled pork, BBQ chicken, BBQ beef ribs, shredded beef brisket, baby back ribs, and pork spareribs. Some of the products even come in single serving sizes. The meats are already smoked and cooked, so all you have to do is to heat them. We like Lloyd’s products. We’ve bought the pulled pork for years, as it’s a quick and easy way to make sandwiches – not as good as the ones we make from our own rubbed and slow-smoked pork butts, but certainly tasty and well worth the price. And theirs takes just minutes to heat in the microwave. It’s great to keep on hand just in case unexpected guests drop by around mealtime, or when you want something yummy and rib-sticking but don’t have time to cook. Is there a way to cook these baby backs in a slow cooker then keep them warm for a buffet dinner? Sure. Just add a little liquid and turn the cooker on "warm." Can I cook these ribs in a crock pot? Yes, but just long enough to warm them up. Could I freeze Lloyd's BBQ Baby Back Ribs? Yes, you can, as long as they weren't frozen previously. Where are Lloyd's BBQ Baby Back Ribs sold? I found them at Winn Dixie. We love Lloyd's ribs and always get them at BJ's. Only 2 of us so I split the package and freeze them. Never a problem with the taste, delish! But would love a tip on how to unpack them without getting covered with that yummy, plentiful barbecue sauce they come in! They are HORMEL ribs, no longer Lloyd's. Less smoking, older pigs, and the "baby backs" must have come from a Bigfoot steer. They aren't bad ribs, just not true Lloyd's (Lloyd sold the company). The best ribs ever. I agree, 30 minutes, not 45 keeps them moist, juicy, and fall off the bone. Use to make my own, from scratch, but these are just as good. Will try the above recipe. I love the ribs but for that price you need to take the layer of fat of the back so you can eat the meat. That vein or fat is tough. I have been Grilling on the BBQ for the best of 30 years. A year ago, I bought a Green Mountain Smoker. So been doing a lot of smoking as well. Baby Back ribs have always been one of my favorites. I am not the type that like to bite into it and have it just fall off the bone onto your plate. I do like to bite into it but don't want to have to pull it away from the bone if you know what I mean. I want my ribs to be moist. 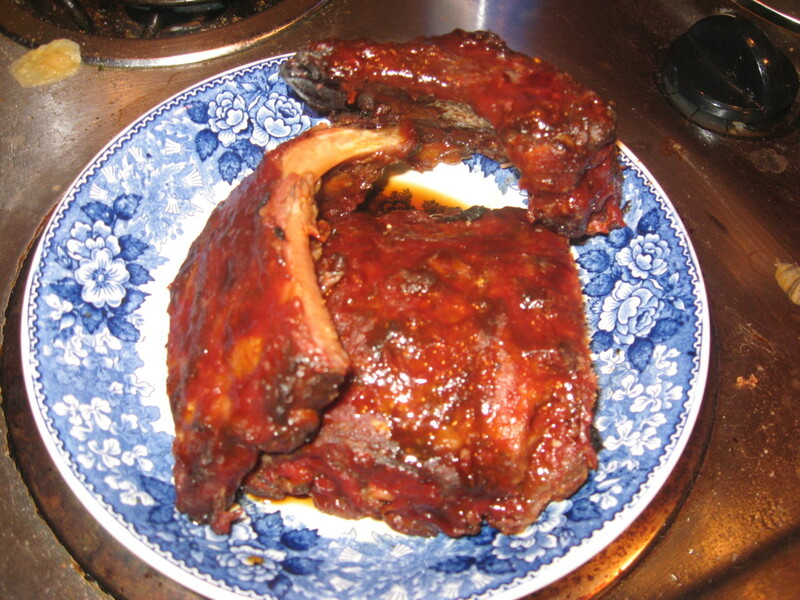 Baby Back ribs need to be cooked at a very low heat for a long time, 3 to 4 hours minimum. I was skeptical of these ribs but as I had worked a long day, I thought I would try them. After all, the reviews were great. What I found as the BBQ sauce to be very bland. Needs much more seasoning. I also found the meat to be very dry. They were not tender at all. More like cooking them too fast and then reheating them up the next day. I will say, those peeps that said there was a lot of gristle on their ribs, I did not find that to be true. For peeps that don't know how to BBQ or Smoke, this may be a good option for them. For those that do, I would say you will very disappointed. Larry, I'm glad you had a great experience with the BBQ ribs! I do not ribs that often, not that I don’t look or them I just never have any luck getting any that aren’t full of fat. It has probably been a year since I have had any. Well, I tried my luck again and purchased a 3lb rack of baby back packed in BBQ Sauce from my local BJ’s Club in Garner NC. I put them on the oven and I have to honestly say. The Best Darn Ribs I have ever had...in my 62 years on Gods earth. All Lean and the sauce was outstanding. So good I had to call my sister in WV and tell her to look for them. Good Job! 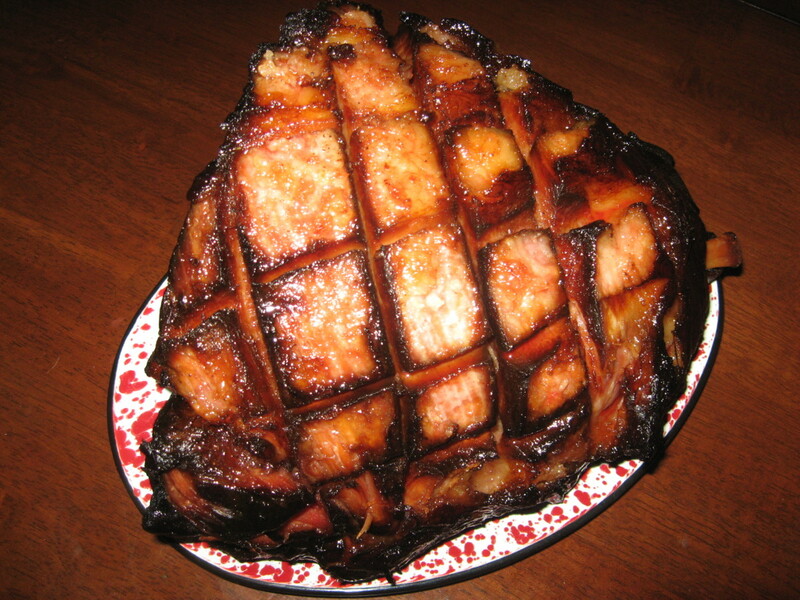 From the pork selector to the Butcher to the Sauce marker to the Packers. I didn’t read any other reviews- didn’t need to. We bought them and they were horrible! No meat and mostly gristle. Will never buy them again. I had bought them before and found them okay but not this time and never again. Both my husband and I have loved Lloyds BBQ Ribs until now. Whenever they would go on sale we would make sure we bought extra. We recently purchase 6 packages from Menards, at a great price. Never again, they were full of grisle we could not even chew them and the bbq sauce even tasted weird. wish we could get a refund. They were not like they use to be! Sad. BBQ is one of my favorites! Thanks for the detailed review. I hope to give this a try sometime. Hi, Habee....How are you today? I hope you always fine and healthy...amen. I love the recipe you gave to us. 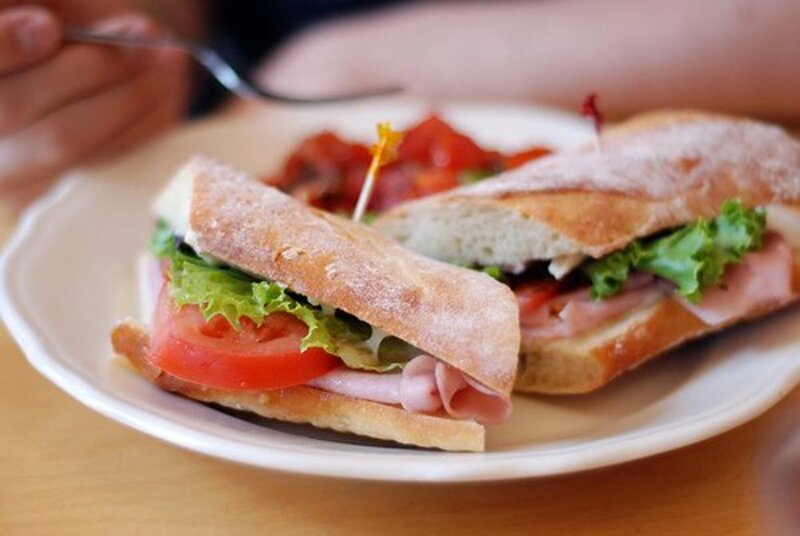 Just looking at the picture makes me hungry. Thanks for writing and I never disappointed to give my VOTE to you. This hub made me so hungry! LOL-I cooked some boneless short ribs over the weekend. I tried a recipe called "Cola Ribs." I didn't care for it too much. Can't beat BBQ ribs, in my opinion. Those are the best! They must be good to tempt & please a seasoned BBQer to use them, too, Habee! If I'm considering serving bbq, I'll check out Lloyds. I eat very little bbq or pork but my favorite commercial bbq is @ the original Underwoods in Brownwood. Try it if you're ever through there. I began eating it when traveling through there & they were just in a tiny building with no seating, just the bbq hut & a serving window; - back in the 50s. Now it's a going concern. I've seen these Lloyds ribs in the market, Holle, and wondered how good they might be. Thanks for this added info since BBQ baby backs are my favorites.